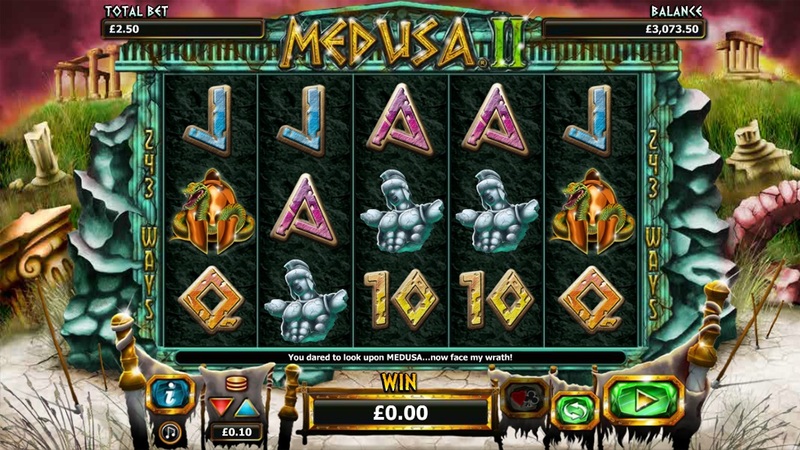 Medusa II is a sequel of a very popular game available at NextGen Casino. This is a version where you can forget about the paylines and you get to find 243 ways to win. Just like the first game it’s based on the same story where the Greek mythology plays an important role. The Medusa is an interesting character in the Greek mythology and you will easily recognize it anywhere as it has living snakes instead of hair. The game can be brought to life with as little as one cent and the maximum you can wager for every spin is $50. Right from the start you can tell that you will be dealing with some better animations compared to what was available at the first version and everything is going to look very sharp, while the game is still able to keep its original look and feel. Every spin you make could be the next big thing that you can transform into some good profits. One of the first feature that you can find while playing the Medusa II slot machine is the Turned to Stone Stacked Wilds. 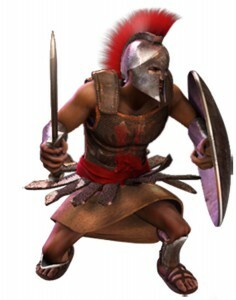 This is very interesting as you are given the opportunity to notice a big soldier appearing and it’s going to attack Medusa, who will turn this soldier into stone and this way it will provide you with a big stack of wilds. One of the thing that should be considered to be a main attraction while playing this game is going to be the Medusa Locked Reels free games. This is a bonus feature that can get activated as soon as you get at least 3 scatter symbols which in this game are represented by the game’s logo. It all starts with you getting 10 free spins. You are also given the opportunity to trigger even more free spins, as there is an extra 5 of them available. 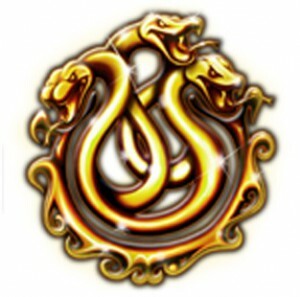 As you start playing Medusa II slot machine you will enjoy a lot this feature as it’s going to get retriggered many times and this way it can always assure you to have a continuous flux of free spins and sometimes it can get you 40 of them or even more. In many of the cases when you are lucky enough to trigger this bonus round you should expect to receive a total payout coming from this game that is between 10 times and up to 30 times the amount of money that you’ve initially wagered.